** Texas has Tort Reform and No State Income Taxes!! COMMUNITY: Visit us at www.Houston-guide.com or www.ClearLakearea.com. 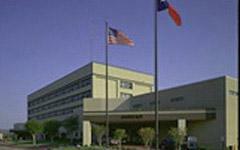 Licensed for 345 beds, Bayshore Medical Center (www.BayshoreMedical.com) is an acute-care tertiary facility located in Pasadena, Texas. For over 50 years, Bayshore Medical Center has served the residents of SE Harris County. The hospital service area cares for 500,000+ residents. With a medical staff of 250+ physicians and 1,500 employees, Bayshore Medical Center is proud to be Pasadena’s second largest employer. A full service facility, the hospital features advanced medical technologies and a recent $40 million expansion that supports its commitment to deliver high-quality community-based care. The hospital is located 20 minutes from downtown Houston. Pasadena is convenient to nearby Hobby airport and the sunny beaches of Galveston. Pasadena offers the advantage of a small city atmosphere with easy access to the world-class amenities and offerings of the nation’s fourth largest city. With a strong economy, a very affordable cost of living and no state income tax, Texas is quickly becoming the number one state in the country.